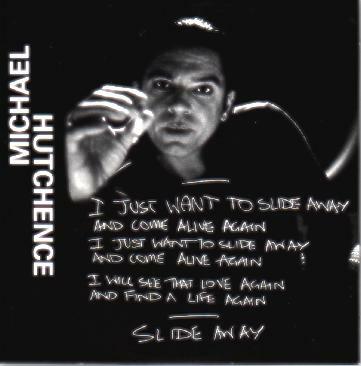 Slide Away was performed by Bono on the Micheal Hutchence album which was released poshumously. Bono wrote the lyrics. Bono had empathy with/for Hutchence and wrote Stuck In A Moment You Can't Get Out Of with him in mind.